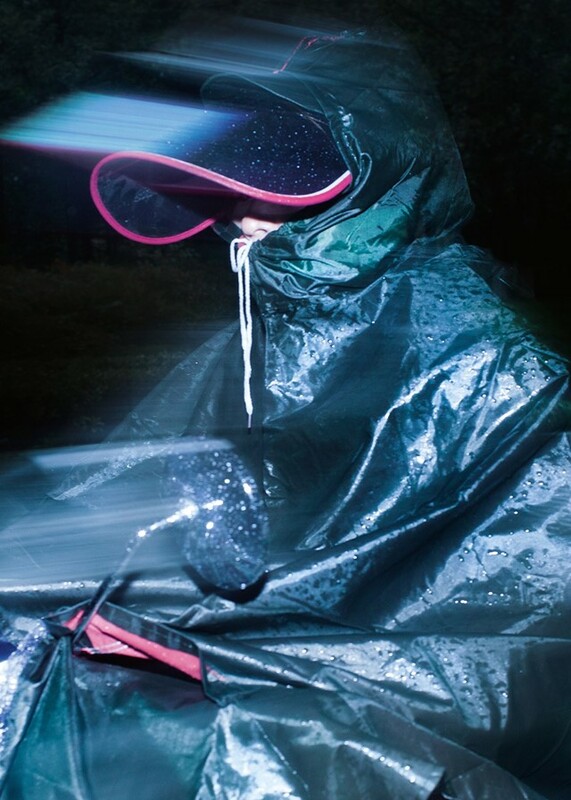 It was while completing her artist residency in Beijing that Polish photographer and visual artist Wiktoria Wojciechowska was captivated by the spirited resolve of the city’s devoted motorcyclists who, come rain, shine or typhoon, will always favour the moped or motorcycle over other modes of transport. 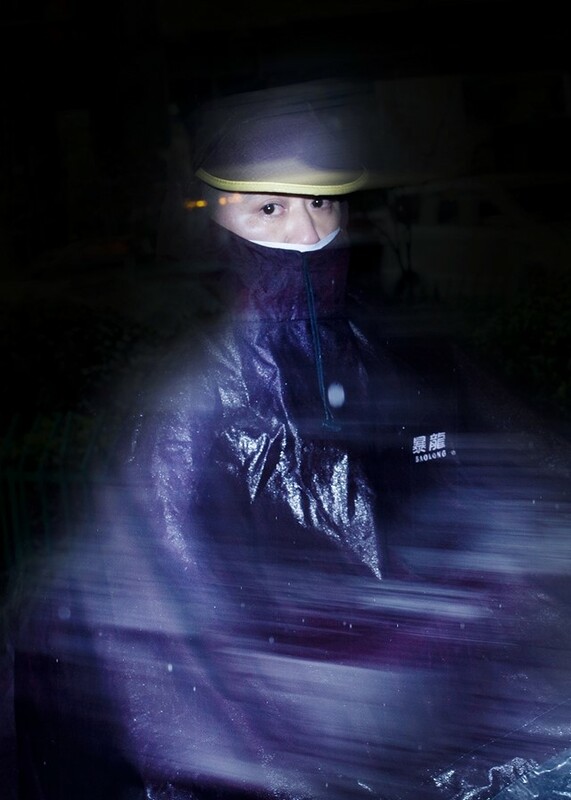 Wojciechowska’s decision to photograph these intrepid travellers as they dashed past her on a daily basis during Beijing’s typhoon season resulted in Short Flashes, a collection of images that now form a photo-book published by Bemojake. 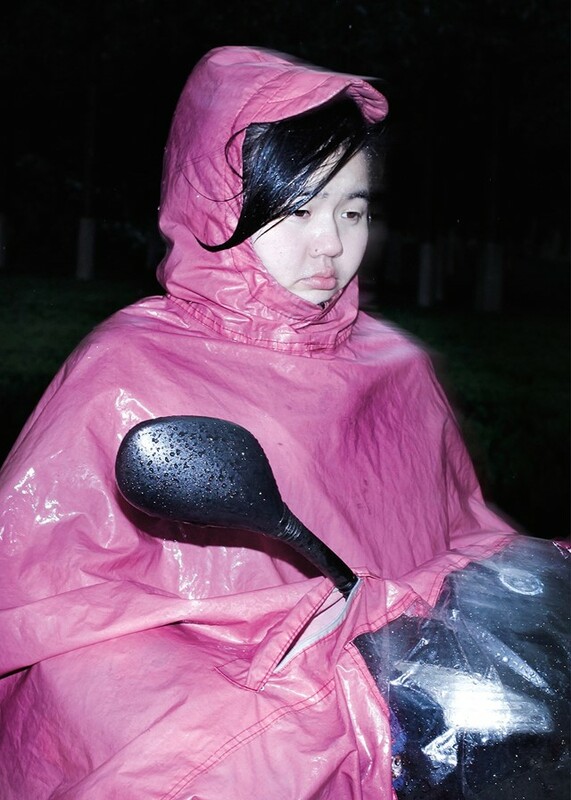 Born from a desire to immerse herself in the city's culture, and connect with the people of China’s capital, Short Flashes is at once playful and wistful, due to the range of emotions captured by Wojciechowska’s probably-startling camera flash that caught her subjects wholly unawares. The title Short Flashes is therefore apt in more ways than one: it covers Wojciechowska’s practice of using her flash to get the shots, as well as the resulting brief glimpses that appear before us, fleeting yet also entirely static in their emotional resonance. 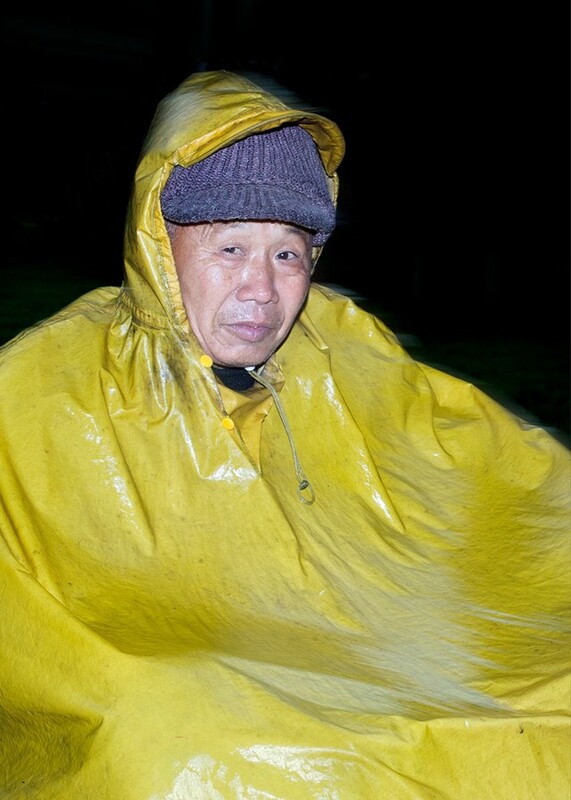 A coloured, heavy-duty rain poncho is the uniform of the Beijing motorcylist, and the colours on display in Short Flashes are uplifting; one cannot help but picture the delightful rainbow of ponchos that dart around Beijing amidst the driving rain of the typhoon season. 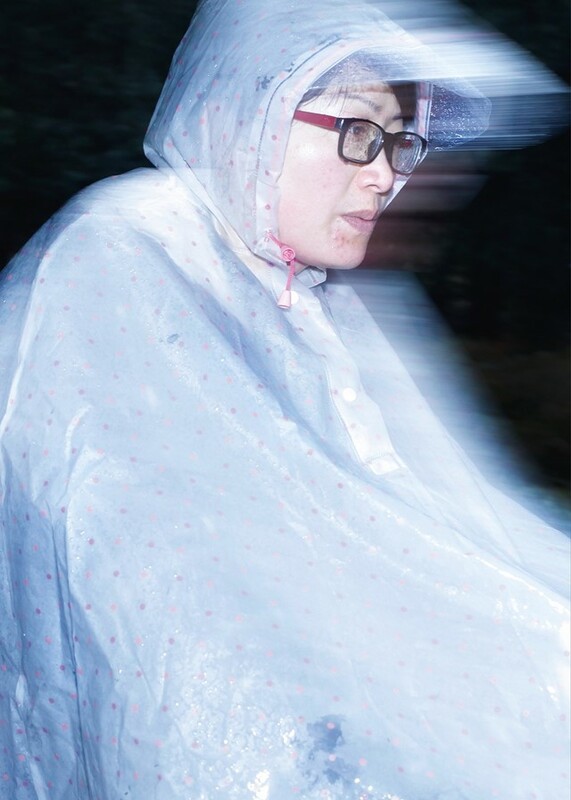 To create a highly amusing and deeply resonant series of photographs of rain-drenched travellers is surely no mean feat, but Short Flashes pulls it off with care and aplomb. Short Flashes by Wiktoria Wojciechowska is available now, published by Bemojake.